After being told by many people that she looked like Queen Victoria, Eve Bacon researched and developed the characterisation. 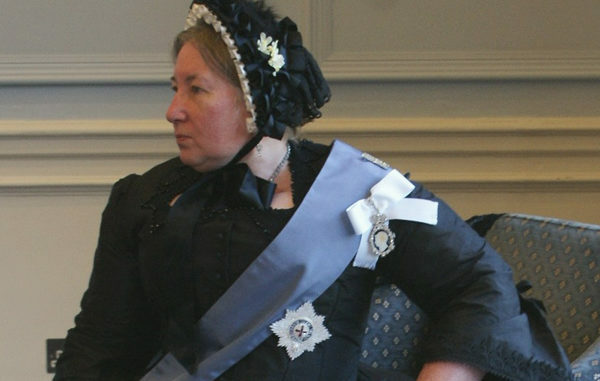 She used historic costume experts to design and make her costume, which is based on photographs of Queen Victoria in the 1870/80s. Now she transforms into an uncanny representation of the queen.